● UK orders over £75, excluding orders for furniture items, qualify for free shipping. ● Check out the Sale section in order to enjoy savings as much as 70%, including through the Special Offers and Clearance subsections. ● Free returns are only available for UK orders. Learn more about the Return Policy here. ● Enter the Monthly Draw here for a chance to win £100 worth of Oliver Bonas vouchers. Oliver Bonas offers a range of products dedicated to apparel and much more. You can find items at their website related to fashion, jewelry, accessories, homeware, furniture, and gifts for all types of people and all types of occasion. There are also a wide range of personalized items that can be purchased at Oliver Bonas. Clothing items include jackets, knitwear, skirts, tops, and much more. Furniture includes armchairs and chairs, chests and cabinets, footstools, garden furniture, ottomans, sofas, and more. Homeware products range from books, to photo frames, to clocks, to tableware, to mirrors, and much more. Jewelry items include bangles and bracelets, earrings and studs, and necklaces and pendants. 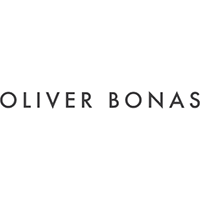 For most up to date offers check out Oliver Bonas on Facebook and Twitter or contact Oliver Bonas Support for any questions.